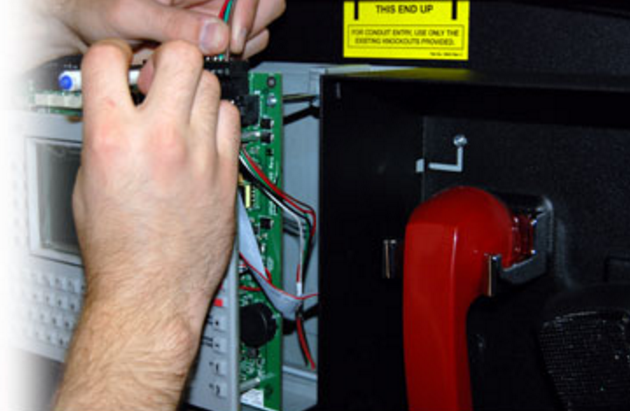 Contech’s factory-trained, NICET certified technicians are available 24 hours a day; experienced in all major manufacturers of fire alarm systems, from telegraph coded systems to modern addressable multiplex fire alarm systems. For your convenience, we maintain a large inventory of parts and devices from various manufacturers, including smoke detectors, manual pull stations, and ADA compliant strobes. Same day delivery is available for all material in our warehouse, and to handle priority response calls. All of our service trucks are well stocked with fire alarm panel modules and field devices for on-site assistance.